We offer simple, clear and effective websites for desktop, tablet and mobile, project management, SEOM and competitive hosting. Benefit from our 30+ years of experience in Server/Network administration, desktop support and PC repair. Mobile Apps, Microsoft Access databases, Web Services, website back-ends & desktop applications. Like it or not, having a mobile ready website isn't just a nice to have anymore; it's a must have. Mobile use is growing at an incredible rate and if your site isn't mobile ready you will lose your web presence and your investment in it. Don't be left behind. Let us help. 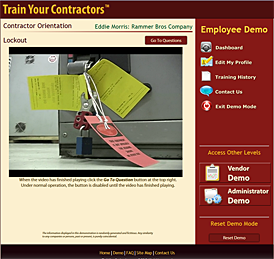 Deliver training to your contractors, vendors, and onsite visitors with a web-based Contractor Training Management System. Reduce the time and cost of contractor orientation with this simple and easy to use online learning management system. A genius in the use of color, her style is sure to please. Candice Lessoway's works are often about contact with architecture, basic living elements, and music. Energy (heat, light, water), space and landscape are examined in less obvious ways and sometimes developed in absurd ways. 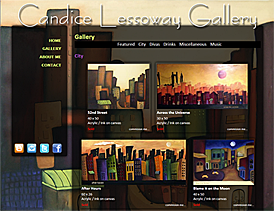 Candice Lessoway currently lives and works in the Okanagan Valley in British Columbia. 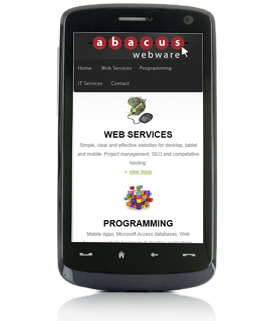 Abacus Webware is a full service IT company specializing in web design, programming and server/network/pc support. With over 30+ years of experience, you can trust Abacus Webware to deliver the services you need.